Officials suspected of embezzling public funds. 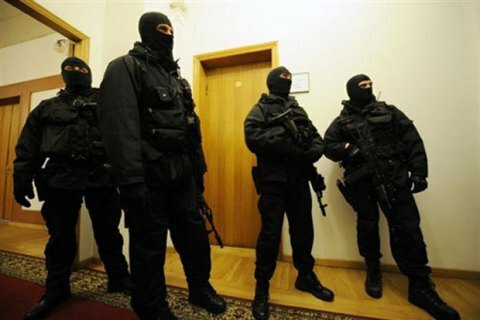 Security officers raided the premises of the State Aviation Service of Ukraine, the Security Service of Ukraine reported on Facebook on 26 July. The searches were part of a case in respect of the officials of International Airport Boryspil, who are charged of misappropriating along with the Ministry of Transport officials 4.3m hryvnia in public funds allocated for the purchase of equipment. "These funds, in violation of an order of the Cabinet of Ministers, were transferred to a company, controlled by a resident of the Russian Federation, and withdrawn from Ukraine. The investigative is ongoing," the FSB report says. The deputy minister of infrastructure, Yuri Lavrenyuk, reported that the police searched the premises of the Administration of seaports of Ukraine, which is a part of the Ministry of Infrastructure. The searches are aimed to document the criminal embezzlement scheme in the seaports administration. Earlier, the National Anti-corruption Bureau officers raided the offices of International Airlines of Ukraine.